Is Wall Street about to catch Candy Crush mania? The negative start for King Digital comes after the technology company raised $500 million in an IPO Tuesday evening that valued the rival of Zynga (NASDAQ:ZNGA) at a hefty $7.1 billion. King tumbled as much as 16% on the day, highlighting concerns about the company’s reliance on a single game for a large chunk of its revenue and users. “It’s going to be hard not to view King as anything but a one-trick pony because they will have the difficulty of trying to duplicate ‘Candy Crush,’” David Menlow, president of IPOFinancial, recently told FOX Business. King opened at $20.50 on Wednesday, which is 8.9% below its IPO price of $22.50. After tumbling as much as 16% to $18.90, King closed down 15.56% to $19.00. Unlike the highly-anticipated IPOs of Facebook (NASDAQ:FB) and Twitter (NYSE:TWTR), King’s underwriters did not see enough demand to justify raising the company’s expected debut price of $21 to $24. The company sold 22.2 million shares in the offering. The gaming industry has been hoping King’s debut would represent a turning point following the late 2011 IPO of Zynga, which is still trading about 50% below its IPO price. 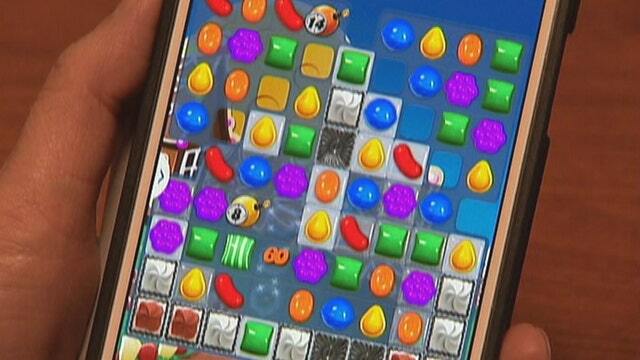 King’s “Candy Crush” has enjoyed enormous success, with the company calling it “one of the largest interactive entertainment franchises of all time.” The game maker has a number of other titles, including “Pet Rescue Saga,” “Farm Heroes Saga” and “Bubble Witch Saga.” Last month, King sported 97 million daily active users. While King needs to prove its ability to replicate the “Candy Crush” success, the company is more financially mature than Twitter or Zynga when they went public. Unlike those companies, King has posted consistent profits, although that distinction could unreasonably raise expectations on management. The IPO was led by JPMorgan Chase (NYSE:JPM), Credit Suisse (NYSE:CS) and Bank of America Merrill Lynch (NYSE:BAC).